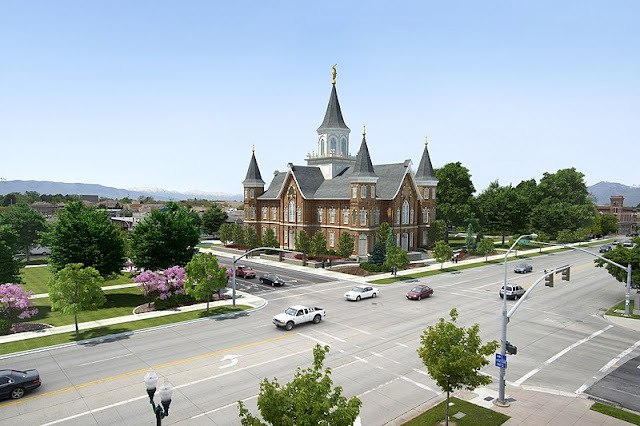 As progress continues on the reconstruction of the Provo Tabernacle, residents and even news organizations are taking note of the building buzz. Here's a couple of great stories that reference how local businesses and citizens of Provo are already buzzing about the construction via KSL and from the Deseret News. Be sure to check out the photos of the building up on metal stilts. Nathan Murray, from the Provo City Economic Development Office, is quoted in both stories describing how the new development is already affecting the mood of businesses in the area. "There is definitely increased enthusiasm for downtown with this announcement. A lot of interest has been piqued from developers and retail outlets wanting to be associated with the temple," Murray said. The reconstruction efforts are slated to be completed sometime in 2015.